Holt Alarms Access Control Systems are tailor made and can be integrated into many existing Building Management and Time and Attendance systems. 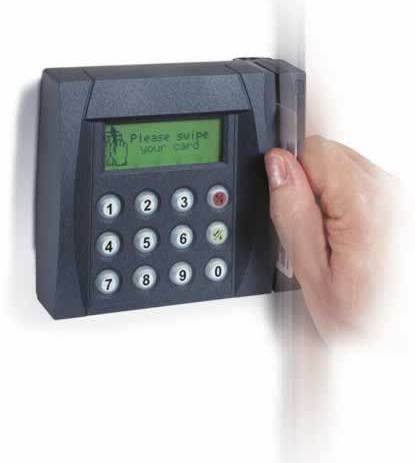 Access Control Systems can include card swipe, keypads and proximity readers, finger print recognition and biometrics. All Holt Alarms access control systems can be combined to provide different levels of security and personnel authentication including ID cards and PIN entry. We install a range of access control systems to suit all requirements from stand-alone systems through to the latest most sophisticated IP Networked integrated security systems. Many businesses utilise PC-based systems as a method of restricting movement around a site including the entry of persons into secure areas, or the control of traffic into car parks. A Holt Alarms access control system is a most cost effective way to secure ingress and egress to and from your site. 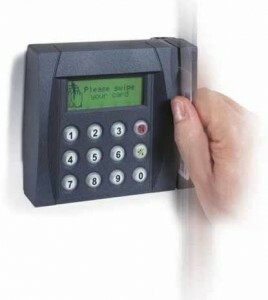 Call us on 02392 730 951 for more information about Access Control Systems.